Call us crazy but hot summers, cool summers, and rainy summers don’t mean much as long as they have Fiona Byrne popping up on a festival stage. She’s back again in 2016 creating quite the lobby chatter in her role of Rachel Arbuthnot in the Shaw Festival’s A Woman of No Importance where Oscar Wilde’s witty epigrams are filled to the rim in what could best be described as a drawing room comedy with barbs. The seasoned performer ranks up there with the best of the best and her delicate approach to this art form is chronicled with clarity and zeal. What fascinates you most about the acting craft? I didn’t intend to be an actress. I thought I would work as a professor of English or as an art curator. And then when I started to perform while at University, something ignited for me. I adore working with others, that alchemy of different artists forming a company, for one show, or for many years, which has been my lucky experience at the Shaw Festival. The most compelling artists that I’ve worked with are those that find their inspiration not only in their own discoveries about their characters, but who are alive and connected onstage. Where there is a need to connect to tell the story together. Michael Ball, Goldie Semple, Diana Donnelly, Tara Rosling, Claire Jullien and David Jansen come to mind. And when I watch the brilliant Helen Mirren, or Kenneth Branagh on screen, I can tell they are true theatre performers! I feel great love for what I do. I’ve made it a career because it’s given me the chance—as a pretty shy and under-the radar kind of person—to be brave as I can, to delve into the human psyche and express it as best I can in the relative safety of a company of artists. Is acting an art that anyone can succeed at with training or are there natural traits one must possess to excel in this discipline? Well, for the “art” of it, of course, loads of people do brilliantly without any formal training. What I will say, though, is for the “discipline” part, that really strengthened during my training. It gave me the tools to know how to keep the work alive and in the moment during a long run onstage or for many takes onscreen. To keep the imagination alive, of course, is necessary. And I’m not all for relying solely on technique but there is something to using it on those inevitable days when it’s harder to feel inspired. Marlon Brando once stated that acting is the expression of a “neurotic impulse.” Do you believe this is true? Clearly this was true for him. Or he might have been taking the piss out of himself – I understand he was a bit a jokester. How could he know what the impulse is for anyone else? He was an utterly brilliant performer. So active, dangerous and surprising. So that worked for him. On a personal level, the impulse comes from different places depending on the piece and on the situation in my life when I am playing the part. And yes, some roles cost more, emotionally. I remember when I played Adela in The House of Bernardo Alba, I felt I needed to tap in the most fragile, secret part of myself, and that was a bit scary. The same was true when I played Nora in Plough and the Stars. But I like to think that it’s not always a neurotic impulse. I don’t think I’d be able to stay sane and live a happy life if that was the case. Who is more important to the production—the actor or director? When there is no director to lead, the show most often suffers. I’m always a bit confused when I hear directors say that they “want to stay out of the way of the play.” I understand the reasoning but I feel their job is to weave their perspective and vision into and alongside the play. And the actors are vital in being there, to take that direction, to tussle respectfully if needed and to try to express that vision. Both have separate jobs, both are necessary to make the play something worth seeing. When you flip through a script searching for a character that you may audition for, what criteria catches your eye? The person has to seem real to me. That is all. The character might have great power or be a complete failure, it’s immaterial. I need to believe she could exist and that I could offer what I have to bring her to life. Rachel Arbuthnot in A Woman Of No Importance is a gift of a role this summer. Wilde has created a person with an open heart, and a truthfulness that moves me deeply. Tell me about a role that you played where something went horribly/laughably wrong on stage but you/cast covered up the best you could. Oh, there have been many. It’s yet another reason why I stay in theatre. I find mishaps so hilarious and painfully joyful. Whenever I am onstage and someone misses an entrance, you can safely bet that it will be me who starts “improvising.” And it’s not bravery, it’s madness! Years ago, during The Importance of Being Ernest an actress was quite late for her entrance, and I was on stage with Evan Buluing. So as Gwendolyn, I started to improvise in as good a “Wildean” way as possible, all the while wracking my brain to make sure I didn’t give the complicated plot away. I still laugh when I think about hearing her running up the backstage stairs for her entrance as I nattered away onstage. I can’t imagine what the audience thought. Name a stage actor that tops your list of all-time favourites. 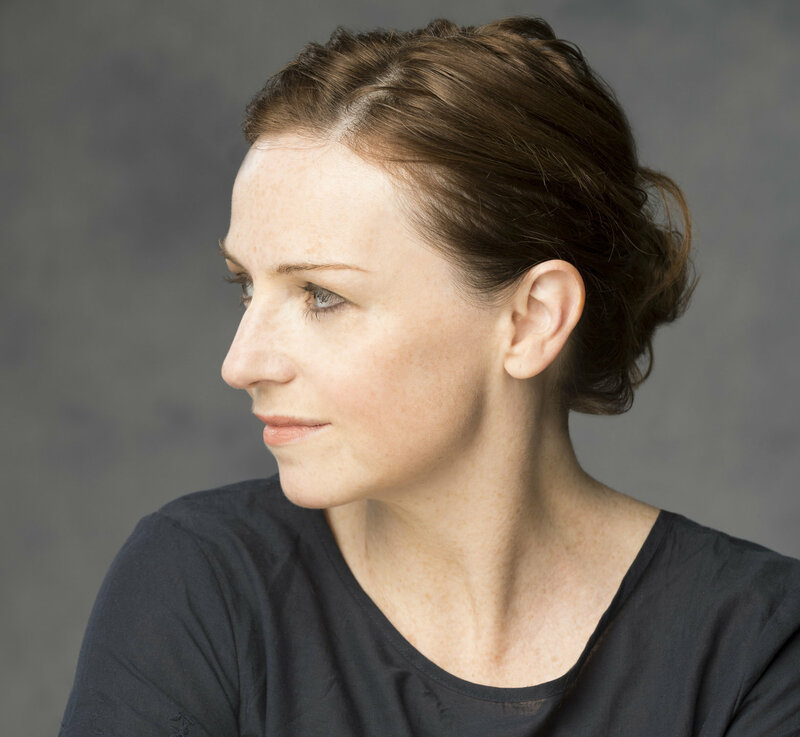 I saw Kristen Scott Thomas play Arkadina in The Seagull a few years ago in New York and that performance moved me to my core. She was so utterly real in every moment, unafraid to be unlikeable at times, unafraid to lose it all onstage. I fell completely in love with her. What do you think the secret is to longevity in this business? There are many, many gifted artists, who for pragmatic, financial reasons, don’t work in the business anymore. There’s so much luck involved. For those who remain, I like to think that aside from talent, what is key is that people want to work with you. You play well with others. You respect each other and the work, and remain curious and humble – no matter how experienced you are. You are willing and ready to keep learning from those half your age. I never cared much for Oscar Wilde but this play opened my eyes. Fiona’s comment about being brave is any job is a universal inspiration. But if actors can do it, we can all do it. Thanks for sending this story through social media channels. Haven’t gotten around to visiting TorontoStage this month but glad to see A Woman of No Importance is on this summer. Will have to plan a drive from Boston to see what the buzz is all about.